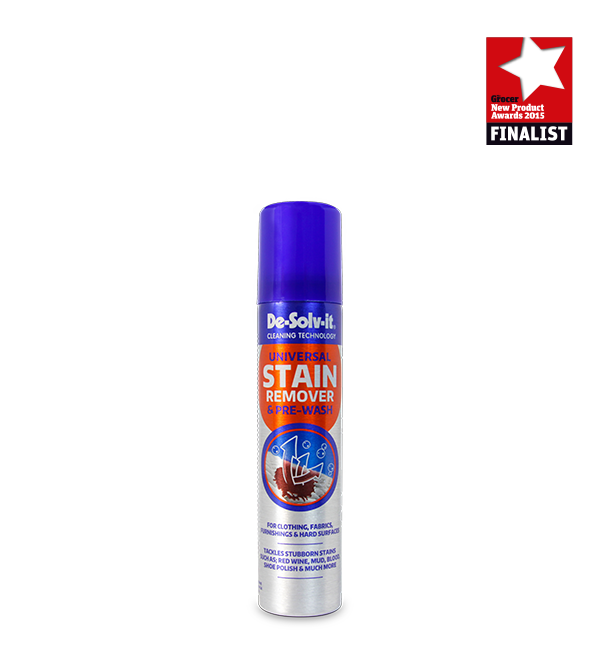 The ultimate, all in one solution to eliminate those difficult stains on clothing, fabric, furnishings and hard surfaces. Top selling product with a proven formula. 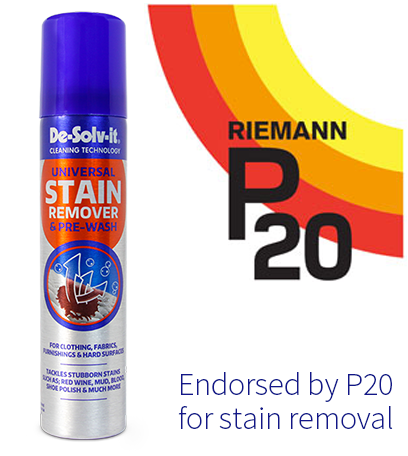 Endorsed by P20 – The Protector of Active People in the sun, as the product they recommend to their customers to remove difficult stains created by sun screen. 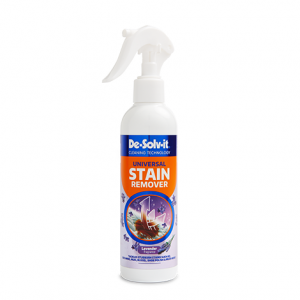 I have used De-Solv-it® Universal Stain Remover and Pre-Wash on a very expensive cotton Ralph Lauren shirt in dark navy which had several grease marks, one of which was particularly large. The shirt was about to be binned by my son, but now it is as good as new, even the colour remained even and I had expected it to bleach a little due the size of the stain and the depth of colour of the shirt. Do not apply to clothing whilst wearing. Spray onto both sides of the fabric & leave for 5 – 10 minutes. Blot & work into the area with an absorbent cloth. Re-apply & leave for 1 minute. Wash the item as per manufacturer’s instructions, using a pre-wash cycle at the highest recommended temperature. Apply using a clean, dry cloth. Blot stain, working towards the centre. Wash area thoroughly with fabric/carpet shampoo. Keep can upright whilst using. 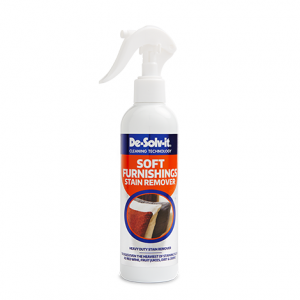 Do not use on leather, suede, silk, foam/rubber backed carpets, fabrics with painted or applique designs or porous hard surfaces. 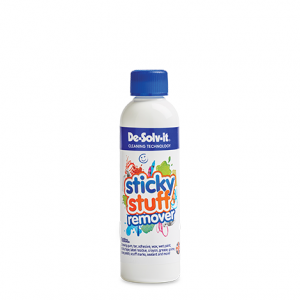 For large areas or stubborn stains, apply SPARINGLY several times. Hard surfaces can be sprayed directly.